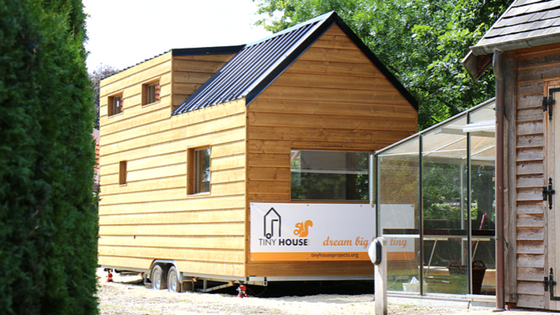 A tiny house built for a worthy cause! With a big influx of refugees coming to Europe over the last few years, a Belgian tiny house company decided to step in and help new arrivals with a tiny home! 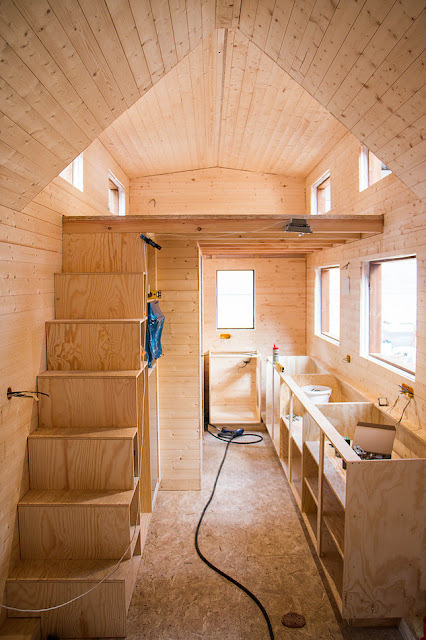 The team at Tiny House Belgium created this cozy tiny house on wheels which was then given to a refugee and parked in a private garden in the Belgian town of Maldegem. 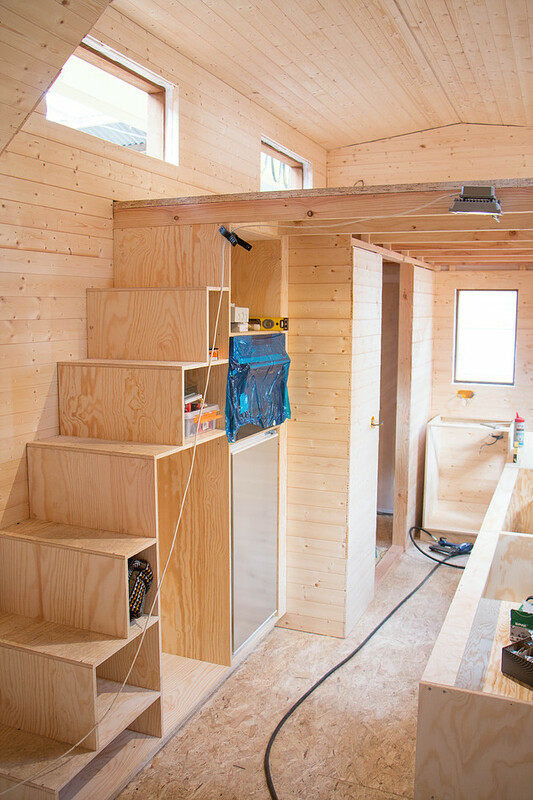 Nicknamed "The Refugee Tiny House", the home features a living room with a built-in sofa, a full kitchen, bathroom, a dinng/work space, and a loft bedroom- accessible by stairs. 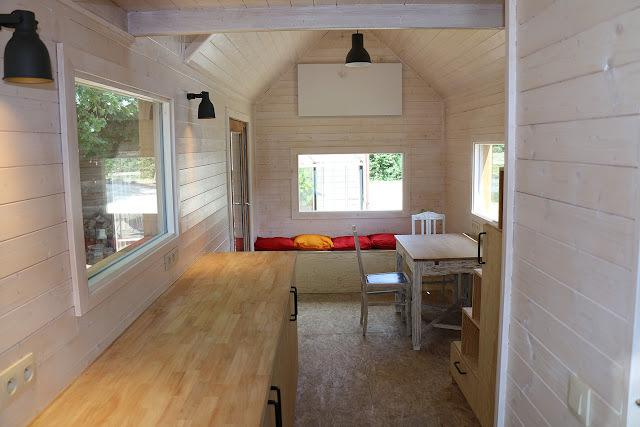 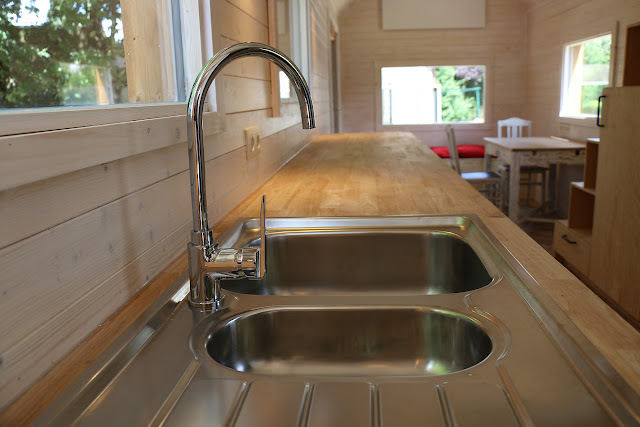 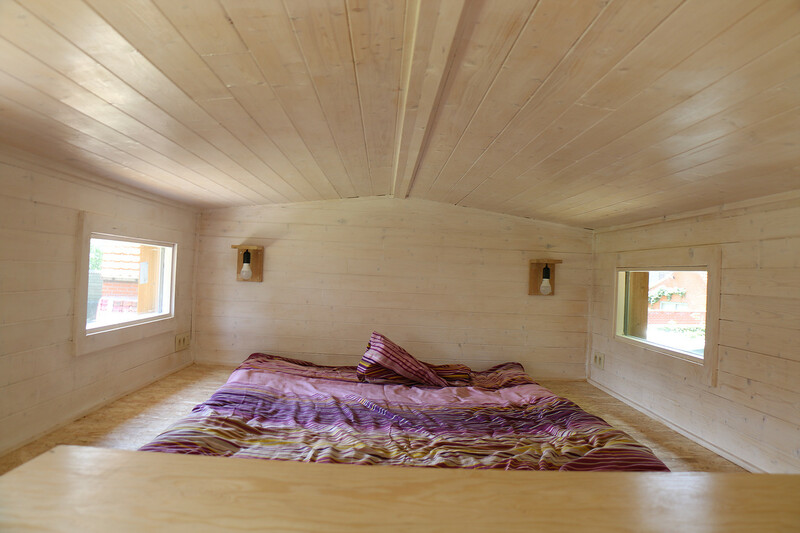 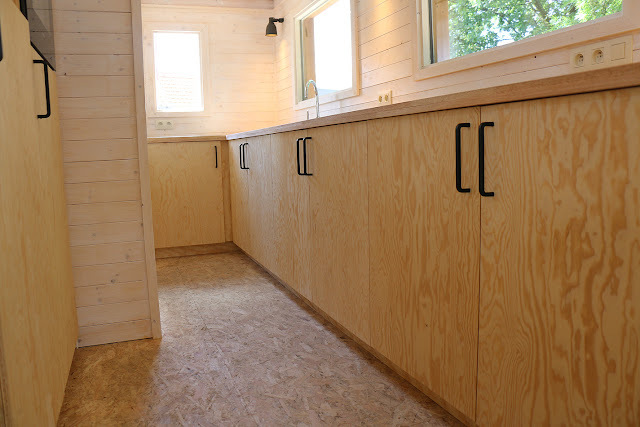 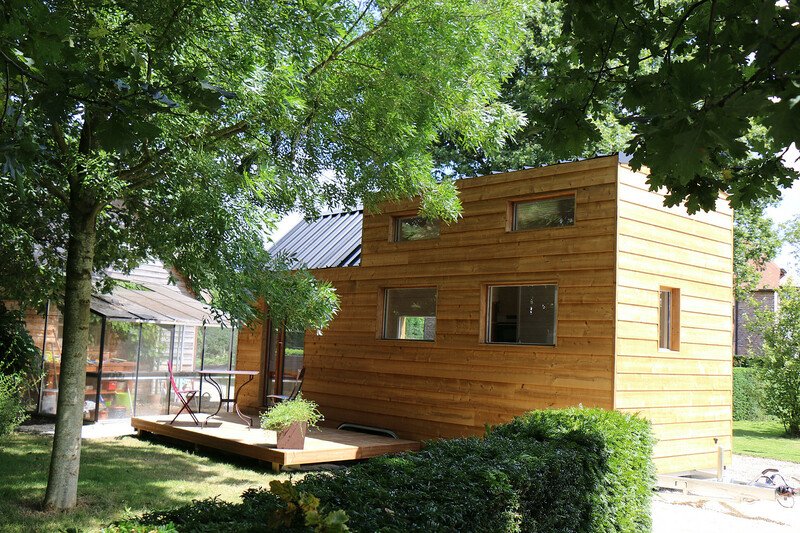 For more information about this tiny home and/or the builder, contact Tiny House Belgium here!